The movement of glaciers across terrestrial environments disturbs the underlying layers of soil and rock, eventually delivering and depositing the collected material to the end, or margin, of the glacier. As a glacier moves along a valley, it picks up rock debris from the valley walls and floor, transporting it in, on, or under the ice. This scouring process also occurs in continental glaciers. When the material reaches the lower parts of the glacier where ablation is dominant, it is concentrated along the glacier margins as more and more debris melts out of the ice. If the position of the glacier margin is constant for an extended amount of time, larger accumulations of glacial debris (till) will form at the glacier margin. In addition, a great deal of material is rapidly flushed through and out of the glacier by meltwater streams flowing under, within, on, and next to the glacier. Part of this streamload is deposited in front of the glacier close to its snout, or terminus. There, it may mix with material brought by, and melting out from, the glacier as well as with material washed in from other, nonglaciated tributary valleys. In contrast to continental glaciers, valley glaciers are constricted within areas of high elevation, and thus rock, soil, and debris taken up typically originates in the valley in which the glacier has formed. Material pushed ahead of the glacier or engulfed by its forward edge often forms a moraine, whereas pressurized mud that develops underneath the glacier may be used to construct flutes under the right conditions. After the initial wave of material is deposited at the terminus of a glacier, the glacier itself may continue to advance or readvance after a period of retreat. This activity effectively "bulldozes" all the loose material in front of it into a ridge of chaotic debris that closely hugs the shape of the glacier snout. Any such accumulation of till melted out directly from the glacier or piled into a ridge by the glacier is a moraine. Large valley glaciers are capable of forming moraines a few hundred metres high and many hundreds of metres wide. Linear accumulations of till formed immediately in front of or on the lower end of the glacier are end moraines. The moraines formed along the valley slopes next to the side margins of the glacier are termed lateral moraines. During a single glaciation, a glacier may form many such moraine arcs, but all the smaller moraines, which may have been produced during standstills or short advances while the glacier moved forward to its outermost ice position, are generally destroyed as the glacier resumes its advance. The end moraine of largest extent formed by the glacier (which may not be as extensive as the largest ice advance) during a given glaciation is called the terminal moraine of that glaciation. Successively smaller moraines formed during standstills or small read-vances as the glacier retreats from the terminal moraine position are recessional moraines, and moraines that form when two glaciers meet one another are called medial moraines. The depositional equivalent of erosional knob-and-tail structures are known as flutes. Close to the lower margin, some glaciers accumulate so much debris beneath them that they actually glide on a bed of pressurized muddy till. 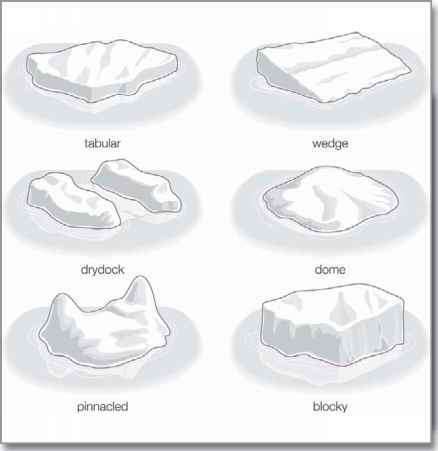 As basal ice flows around a pronounced bedrock knob or a boulder lodged in the substrate, a cavity often forms in the ice on the lee side of the obstacle because of the high viscosity of the ice. Any pressurized muddy paste present under the glacier may then be injected into this cavity and deposited as an elongate tail of till, or flute. The size depends mainly on the size of the obstacle and on the availability of subglacial debris. Flutes vary in height from a few centimetres to tens of metres and in length from tens of centimetres to kilometres, even though very large flutes are generally limited to continental ice sheets. Many of the deposits of continental ice sheets are very similar to those ofvalley glaciers. Terminal, end, and recessional moraines are formed by the same process as with valley glaciers, but they can be much larger. Morainic ridges may be laterally continuous for hundreds of kilometres, hundreds of metres high, and several kilometres wide. Since each moraine forms at a discreet position of the ice margin, plots of end moraines on a map of suitable scale allow the reconstruction of ice sheets at varying stages during their retreat. In addition to linear accumulations of glacial debris, continental glaciers often deposit a more or less continuous, thin (less than 10 metres [33 feet]) sheet of till over large areas, which is called ground moraine. This type of moraine generally has a "hummocky" topography of low relief, with alternating small till mounds and depressions. Swamps or lakes typically occupy the low-lying areas. Flutes are a common feature found in areas covered by ground moraine. Another depositional landform associated with continental glaciation is the drumlin, a streamlined, elongate mound of sediment. Such structures often occur in groups of tens or hundreds, which are called drumlin fields. The long axis of individual drumlins is usually aligned parallel to the direction of regional ice flow. In long profile, the stoss side of a drumlin is steeper than the lee side. Some drumlins consist entirely of till, while others have bedrock cores draped with till. The till in many drumlins has been shown to have a "fabric" in which the long axes of the individual rocks and sand grains are aligned parallel to the ice flow over the drumlin. Even though the details of the process are not fully understood, drumlins seem to form subglacially close to the edge of an ice sheet, often directly down-ice from large lake basins overridden by the ice during an advance. The difference between a rock drumlin and a drumlin is that the former is an erosional bedrock knob, whereas the latter is a depositional till feature. Much of the debris in the glacial environment of both valley and continental glaciers is transported, reworked, and laid down by water. Whereas glaciofluvial deposits are formed by meltwater streams, glaciolacustrine sediments accumulate at the margins and bottoms of glacial lakes and ponds. Beyond the glacier margin, the water, which is no longer confined by the walls of the ice tunnel, spreads out and loses some of its velocity. Because of the decreased velocity, the stream must deposit some of its load. As a result, the original stream channel is choked with sediments, and the stream is forced to change its course around the obstacles, often breaking up into many winding and shifting channels separated by sand and gravel bars. The highly variable nature of the sediments laid down by such a braided stream reflects the unstable environment in which they form. Lenses of fine-grained, cross-bedded sands are often interbedded laterally and vertically with stringers of coarse, bouldery gravel. Since the amount of sediment laid down generally decreases with distance from the ice margin, the deposit is often wedge-shaped in cross section, ideally gently sloping off the end moraine formed at that ice position and thinning downstream. The outwash is then said to be "graded to" that particular moraine. In map view, the shape of the deposit depends on the surrounding topography. Where the valleys are deep enough not to be buried by the glaciofluvial sediments, as in most mountainous regions, the resulting elongate, planar deposits are termed valley trains. On the other hand, in low-relief areas the deposits of several ice-marginal streams may merge to form a wide outwash plain, or sandur. If the ice margin stabilizes at a recessional position during glacial retreat, another valley train or sandur may be formed inside of the original one. Because of the downstream thinning of the outwash at any one point in the valley, the recessional deposit will be lower than and inset into the outer, slightly older outwash plain. Flat-topped remnants of the older plain may be left along the valley sides; these are called terraces. Ideally each recessional ice margin has a terrace graded to it, and these structures can be used in addition to moraines to reconstruct the positions of ice margins through time. In some cases where the glacier either never formed moraines or where the moraines were obliterated by the outwash or postglacial erosion, terraces are the only means of ice margin reconstruction. Streams that flow over the terminus of a glacier often deposit stratified drift in their channels and in depressions on the ice surface. As the ice melts away, this ice-contact stratified drift slumps and partially collapses to form stagnant ice deposits. Isolated mounds of bedded sands and gravels deposited in this manner are called kames. Kame terraces form in a similar manner but between the lateral margin of a glacier and the valley wall. Glacial geologists sometimes employ the term kame moraine to describe deposits of stratified drift laid down at an ice margin in the arcuate shape of a moraine. Some researchers, however, object to the use of the term moraine in this context because the deposit is not composed of till. In some cases, streams deposit stratified drift in subglacial or englacial tunnels. As the ice melts away, these sinuous channel deposits may be left as long linear gravel ridges called eskers. Some eskers deposited by the great ice sheets of the Pleistocene can be traced for hundreds of kilometres, even though most esker segments are only a few hundred metres to kilometres long and a few to tens of metres high. Kettles, potholes, or ice pits are steep-sided depressions typical of many glacial and glaciofluvial deposits. Kettles form when till or outwash is deposited around ice blocks that have become separated from the active glacier by ablation. Such "stagnant" ice blocks may persist insulated under a mantle of debris for hundreds of years. When they finally melt, depressions remain in their place, bordered by slumped masses of the surrounding glacial deposits. Many of the lakes in areas of glacial deposition are water-filled kettles and so are called kettle lakes. If a sandur or valley train contains many kettles, it is referred to as a pitted outwash plain. Glacial and proglacial lakes are found in a variety of environments and in considerable numbers. Erosional lake basins have already been mentioned, but many lakes are formed as streams are dammed by the ice itself, by glacial deposits, or by a combination of these factors. Any lake that remains at a stable level for an extended period of time (such as hundreds or thousands of years) tends to form a perfectly horizontal, flat, terracelike feature along its beach. Such a bench may be formed by wave erosion of the bedrock or glacial sediments that form the margin of the lake, and it is called a wave-cut bench. On the other hand, it may be formed by deposition of sand and gravel from long-shore currents along the margin of the lake, in which case it is referred to as a beach ridge. The width of these shorelines varies from a few metres to several hundred metres. As the lake level is lowered due to the opening of another outlet or downcutting of the spillway, new, lower shorelines may be formed. Most former or existing glacial lakes (such as the Great Salt Lake and the Great Lakes in North America) have several such shorelines that can be used both to determine the former size and depth of now-extinct or shrunken lakes and to determine the amount of differential postglacial uplift because they are now tilted slightly from their original horizontal position. Where a stream enters a standing body of water, it is forced to deposit its bedload. The coarser gravel and sand are laid down directly at the mouth of the stream as successive, steeply inclined foreset beds. The finer, suspended silt and clay can drift a bit farther into the lake, where they are deposited as almost flat-lying bottomset beds. As the sediment builds out farther into the lake (or ocean), the river deposits a thin veneer of subhorizontal gravelly topset beds over the foreset units. Because the foreset-topset complex often has the shape of a triangle with the mouth of the stream at one apex, such a body of sediment is called a delta. Many gravel and sand pits are located in deltas of former glacial lakes. The flat-lying, fine-grained bottomset beds of many large former glacial lakes filled in and buried all of the preexisting relief and are now exposed, forming perfectly flat lake plains. Cuts into these sediments often reveal rhythmically interbedded silts and clays. Some of these so-called rhythmites have been shown to be the result of seasonal changes in the proglacial environment. During the warmer summer months, the meltwater streams carry silt and clay into the lakes, and the silt settles out of suspension more rapidly than the clay. A thicker, silty summer layer is thus deposited. During the winter, as the surface of the lake freezes and the meltwater discharge into it ceases, the clays contained in the lake water slowly settle out of suspension to form a thin winter clay layer. Such lacustrine deposits with annual silt and clay "couplets" are known as varves. In the cold, or periglacial (near-glacial), areas adjacent to and beyond the limit of glaciers, a zone of intense freeze-thaw activity produces periglacial features and landforms. This happens because of the unique behaviour of water as it changes from the liquid to the solid state. As water freezes, its volume increases about 9 percent. This is often combined with the process of differential ice growth, which traps air, resulting in an even greater increase in volume. If confined in a crack or pore space, such ice and air mixtures can exert pressures of about 200,000 kilopascals (29,000 pounds per square inch). This is enough to break the enclosing rock. Thus freezing water can be a powerful agent of physical weathering. If multiple freeze-and-thaw cycles occur, the growth of ice crystals fractures and moves material by means of frost shattering and frost heaving, respectively. In addition, in permafrost regions where the ground remains frozen all year, characteristic landforms are formed by perennial ice. In nature, the tensional strength of most rocks is exceeded by the pressure of water crystallizing in cracks. Thus, repeated freezing and thawing not only forms potholes in poorly constructed roads but also is capable of reducing exposed bedrock outcrops to rubble. Many high peaks are covered with frost-shattered angular rock fragments. A larger area blanketed with such debris is called a felsenmeer, from the German for "sea of rocks." The rock fragments can be transported downslope by flowing water or frost-induced surface creep, or they may fall off the cliff from which they were wedged by the ice. Accumulations of this angular debris at the base of steep slopes are known as talus. Owing to the steepness of the valley sides of many glacial troughs, talus is commonly found in formerly glaciated mountain regions. Talus cones are formed when the debris coming from above is channelized on its way to the base of the cliff in rock chutes. As the talus cones of neighbouring chutes grow over time, they may coalesce to form a composite talus apron. In higher mountain regions, the interior of thick accumulations of talus may remain at temperatures below freezing all year. Rain or meltwater percolating into the interstices between the rocks freezes over time, filling the entire pore space. In some cases, enough ice forms to enable the entire mass of rock and ice to move downhill like a glacier. The resulting massive, lobate, mobile feature is called a rock glacier. Some rock glaciers have been shown to contain pure ice under a thick layer of talus with some interstitial ice. These features may be the final retreat stages of valley glaciers buried under talus.